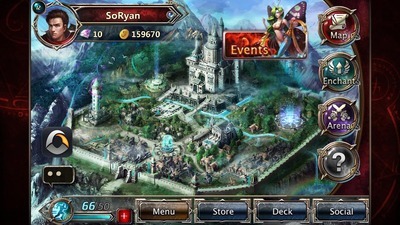 Chinese MMO developer, Perfect World, take their first stab at iOS with mixed results. Elemental Kingdoms is a card tactics RPG where players build decks of cards to battle opponents. 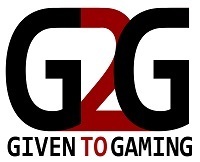 Games like Magic the Gathering and Pokemon have proven that there is a large market for fantasy card games but the video game industry has had a hard time breaking into that fanbase. Social game giant Zynga took a stab at it with their now defunct game Warstorm - which was a fantastic game, by the way. Even Wizards of the Coast couldn’t make a go at it, their MMO called Magic the Gathering Tactics will be shutting down in March of 2014. Now Free-to-Play behemoth Perfect World is giving the card tactics genre a try, but instead of appealing to their normal PC gamer crowd, they are targeting mobile gamers. The game is called Elemental Kingdoms, and it’s mostly a card tactics game with a little RPG, and a little dungeon crawler tossed in for good measure. Right now it is only available for iOS devices, and is so resource heavy that it barely runs on the iPhone 4, and not at all on previous models. In Elemental Kingdoms, players collect cards which represent different soldiers and beasts. Cards are used to create decks. Battles are played out in deck-on-deck combat. Players start off with a small deck of cards. 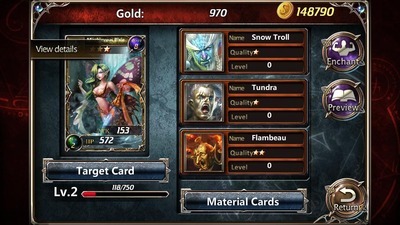 Additional cards are won through battle or purchased using one of the game’s three currencies. Elemental Kingdoms also has a card upgrade system. Players upgrade individual cards through the ‘Enchant’ option where they must sacrifice unwanted cards to bolster the strength of their wanted cards. Cards gain attack power and hit points when they level. Some cards will also gain special abilities once they reach certain levels. 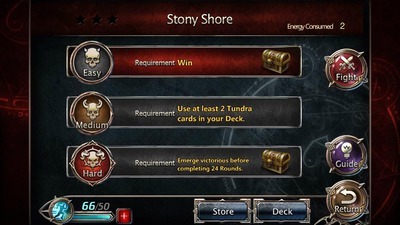 Players can also stack their deck with Runes which give them special abilities during battles, for example the Water Rune can cause frost damage, or freeze enemy cards. Runes can be upgraded, just like cards. 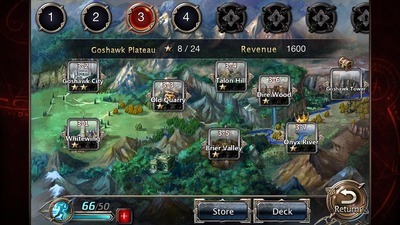 There are ten maps for players to explore, each with multiple battles. Battles have three modes – easy, medium and hard – each with separate goals and prizes. A map opens up as a player beats new battles. Each time a player wins a battle for the first time, a new battle on the map opens up, or if there is no new battle on that map, the next map becomes available to play. Some maps also have dungeons. 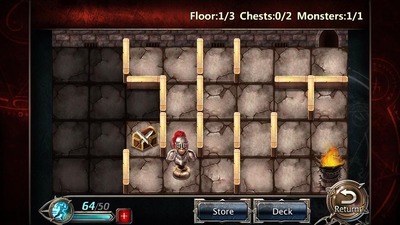 A player can choose to play a dungeon multiple times or skip it altogether. Dungeon crawling in Elemental Kingdoms is pretty basic, it consists of tapping through a maze to find treasure chests and enemies to fight using the same card deck system. Elemental Kingdoms has great artwork and familiar gameplay for fans of the genre - it really fills the Warstorm void for me. The unique Enchant system will keep me playing but the battle system could use some tweaking to help take Elemental Kingdoms to the next level. Battles pit one deck against another. 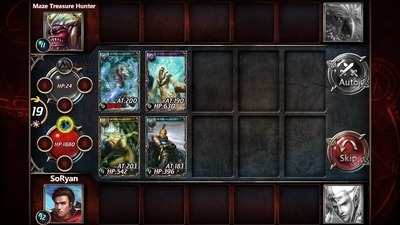 Cards are pulled at random and require a set amount of turns on deck before coming in to play. Once in play, they attack the card that is in play directly above it. If there is no opponent card to attack, then the main opponent is attacked instead. Battles are won with all cards are defeated or the main opponent runs out of hit points. Some cards also have special abilities like fireballs, poison or sharpshooting. Battles are turn based. As it stands right now, once a battle has begun, the only action a player needs to take is to bring a card into play, or to hold off until the next round. It’s kind of like watching the game play itself and unfortunately, it gets boring pretty fast. If Perfect World adjusts the battle system to allow a player more choices and actions during battle, they may have a real winner. I see a lot of potential in Elemental Kingdoms and I hope future expansions allow the player to do more in the game. Until that day comes, Elemental Kingdoms is a casual bit of fun, but falls a bit short of the mark. What is your Favourite Movie Based on a True Story?